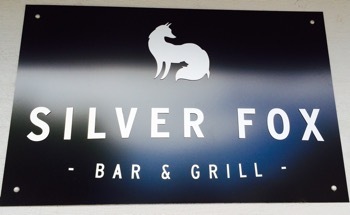 Silver Fox has recently opened in the spot where Delissios used to be in Curtin. Parking is easy and it’s just a few minutes drive from the Woden CBD. 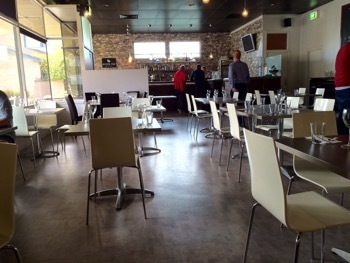 Pleasant décor and friendly, helpful staff make it an attractive place for lunch. It is also fairly quiet and an easy place for conversation. 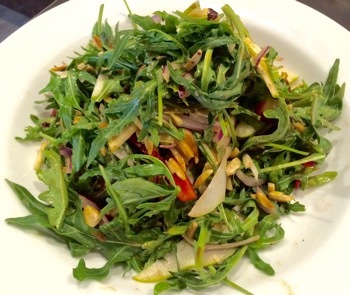 In addition to pizza, pasta and grills, Silver Fox offers a couple of interesting salad options that are truly good! An excellent fruit and nut salad of strawberry, pear, brazil nut and almonds with rocket, red onion, mint and balsamic vinaigrette ($18 for the regular size), has got the perfect balance of sweet, crunch and mint and is generous with the nuts. 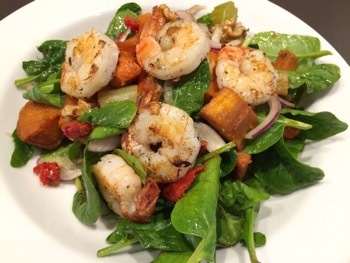 An equally good, but perhaps a little more oily, warm roast vegetable salad ($20 for the regular size) of sweet potato, pumpkin, carrot and celery with walnuts, red onion, baby spinach, semi-dried tomato has a seriously good maple-cinnamon toffee dressing. It’s especially good topped with prawns (an extra $8 for 6) but I’ve also heard the crispy calamari ($6 extra) is terrific. Half serves are offered for a little less cost e.g. $15/$18 compared to $18/$20 for the regular size but it’s good to get the larger serve for not much more and share both between two people. A great idea would be to take a few friends and share one of each. 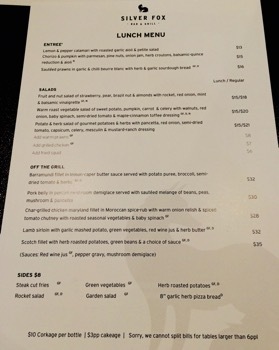 Prices are what you would expect for mid-range Italian style restaurants. 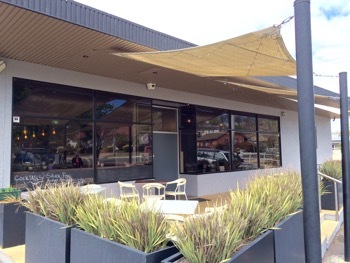 There is also a 25% discount offered to Canberra Entertainment Book Holders making it excellent value for good food. And if you can’t make it to them, they can bring the food to you at work. There’s even a discount for 5 (1/2 price for one meal ) or 10 (one meal free). Serve sizes are the same as those in the restaurant and meals are delivered in clear take-away plastic containers or pizza boxes as appropriate. Glasses of wine start at $7 a glass. 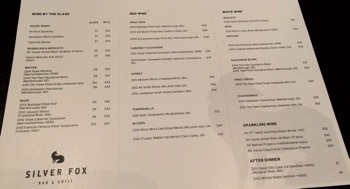 BYO wine is an option for $10 corkage per bottle. Yes, always great if it’s light as well as tasty! True!